At Maxi cab singapore | Minibus Charter, we offer a variety of personalized and quality transportation services such as 5, 7, 9, and 13 seater minibus hire and passenger van rental with driver and chauffeured limousine services for tourist and locals traveling within Singapore and Malaysia whether for personal use, leisure or business. Whether you are travelling in bigger groups for vacations or for business meetings, events, weddings or for Singapore airport transfers, we have the right vehicle to cater to your needs. What are the difference between the mini bus, passenger van, maxi cabs, excursion bus, multi purpose vans, big taxis or large cabs? Good questions. We have been in the Singapore – Malaysia transportations industry for so long and have used these names interchangeably. To almost all user it may mean the same and can’t figure out the difference. The 7 seater taxicabs is also popularly known as the maxi cab is also sometimes refer to as 7 passengers taxi, big taxi or large cab. The term mini bus is usually used to refer to the 9-seater passenger vans and the 13 seater which is sometimes called combi. While the 19-seater bus and bigger are generally called coasters or coaches. The smaller vehicles or minivans are called 6 seater taxi singapore or the multi-purpose vans (MPVs). While the terms ‘excursion bus‘ is actually the name given to all licensed commercial bus for ferrying paying passengers or customers. The terms ‘private hire‘ is use for vans and minibuses carrying non-paying in-house company staff and the non-paying company guest. c) For what purpose (e.g airport transfer, city tour, business meetings,). This information can help us recommend our customers which vehicle will be able to suit them best and assigned the correct vehicle types to them. All our vehicles are well maintained, clean with air-conditioning to always give our customers a comfortable ride. More importantly, the cars and vans are comprehensively covered by insurance and regularly inspected by an authorized body to give our passengers a reliable and safe transportation and limousine services, at an affordable and reasonable rates. How to book, rent, hire or charter our vehicles with a driver or chauffeured limousines services? 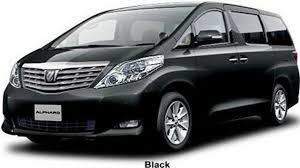 Our peoples’ carrier minibuses with drivers or limousine vehicles ranging from 4 seater sedan, 4 – 7 seater mercedes limousines, 6 seater taxi singapore, 7 seater taxi Singapore and the 13 seater mini bus can be booked on-line or by SMS/WhatsApp and phone.